Cities across Northeast Ohio are issuing parking bans ahead of a potential winter storm this weekend. Parking bans are put in place to prevent motorists from parking on city streets during weather events, so plows and emergency vehicles can access the roadways. Fairview Park: A parking ban will be issued once there is two or more inches of accumulated snow determined by the National Weather Service. Cleveland: The city of Cleveland released a map ahead of their winter plan, which lets residents navigate a map of the city to determine the streets affected by snow emergency parking bans. Find the map here . 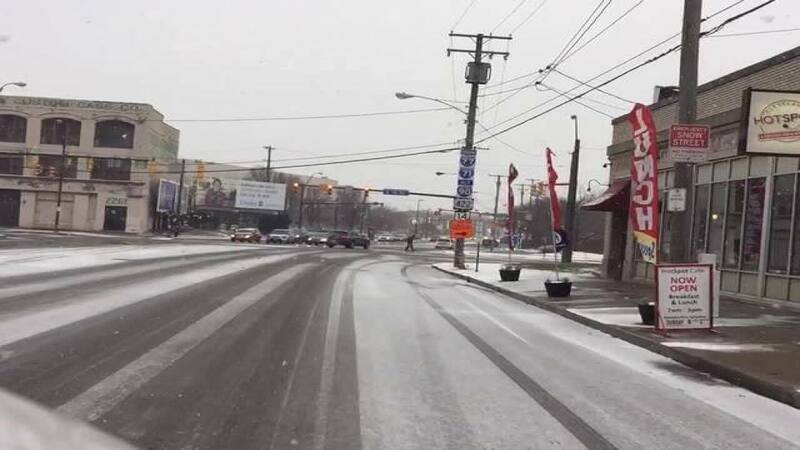 Warrensville Heights: A parking ban will be in effect from Friday, Jan. 18 at 5:00 p.m. until Monday, Jan. 21 at 12:00 p.m.
Rocky River: A parking ban will be issued when there is two inches of snow fall during a 24 hour period. Canton: The ban has been issued for Canton Township from Friday, Jan. 18 at 6:00 p.m. until Monday, Jan. 21 at 6:00 p.m.